Its boom time for budding sporting talents of Sikkim. While three players from Sikkim will be attending this year’s sub-junior summer coaching camp of Badminton Association of India at Padukone-Dravid Sports Centre for Excellence in Bangalore, a football trainee at Namchi Sports Hostel, has made it to Reliance Foundation Youth Sports Football Academy. The three Under-13 players Nabin Pradhan, Ashim Chettri and Anisha Rai were selected by the Badminton Association of Sikkim on the basis of their merit and prowess through a selection committee constituted by the BAS during a trial test conducted recently at Namchi. The three budding shuttlers will be trained under legendary Prakash Padukone, U Vimal Kumar and a team of other coaches at the camp. The first phase of the camp will be held from June 1 to 21 and the second from June 25 to July 15 with 45 trainees in each phase coming from various states across the country. On the other hand, a football trainee at Namchi Sports Hostel, Rapgay Lepcha, has been selected to impart training at the Reliance Foundation Youth Sports Football Academy in Mumbai. 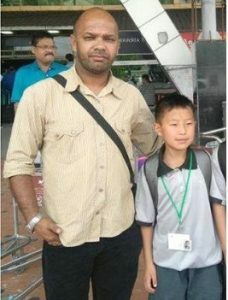 It will be a lifetime opportunity for the 12-year-old budding footballer travelling all way from remote Dzongu in Sikkim to Mumbai. Rapgay is leaving for Mumbai next month to start his scholarship and football training at RFYS Football Academy. The RFYS is an elite residential academy that provides annual scholarships and professional training to sports talent in football and other sports.